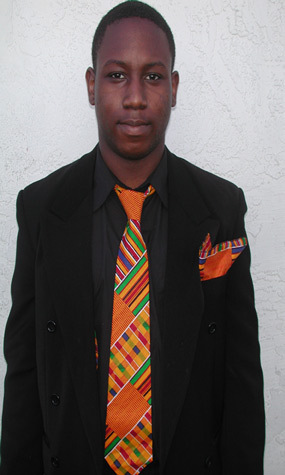 African Kente Long Tie and matching handky for Kids and young adults. (Available in all Kente Colors and sizes Ages 8 - 15 Years Old) Perfect for all occasions and gift items. Made by Wilsdom Designs. Please select your longtie set by age.